By buying this product you can collect up to 4 loyalty points. Your cart will total 4 loyalty points that can be converted into a voucher of 1,20 €. 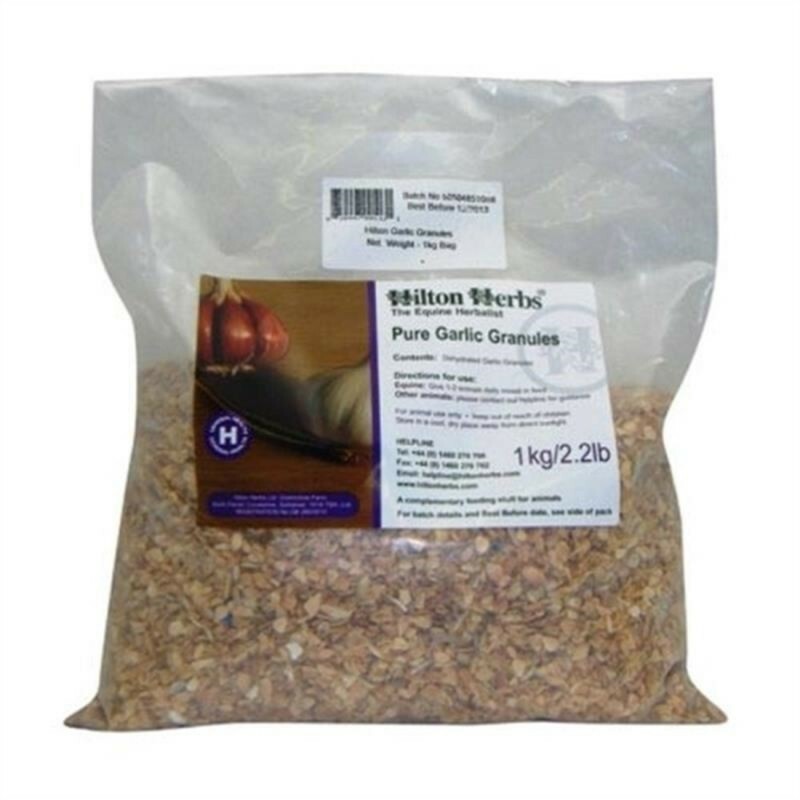 Pure GARLIC GRANULES, rich in bio-available Sulphur, Oil and B group vitamins, to help maintain general health and support a healthy immune system. Horses : one to two x 15ml scoops per day. 100% Pure cold-pressed dehydrated garlic from China. Will my horse eat garlic ? This garlic is pure, culinary grade, garlic and as such is quite strong-smelling. As with anything new we recommend introducing it gradually, ideally associate it with something like sugar beet that will act as a 'carrier' until your horse gets used to the taste and smell of the garlic. 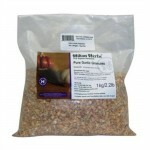 Particularly fussy animals may prefer the garlic granules or even the garlic flakes.